Eagles Wings I opened in 2010. We moved to our current location on 5th Ave. in 2011. The facility was recently expanded in 2013. 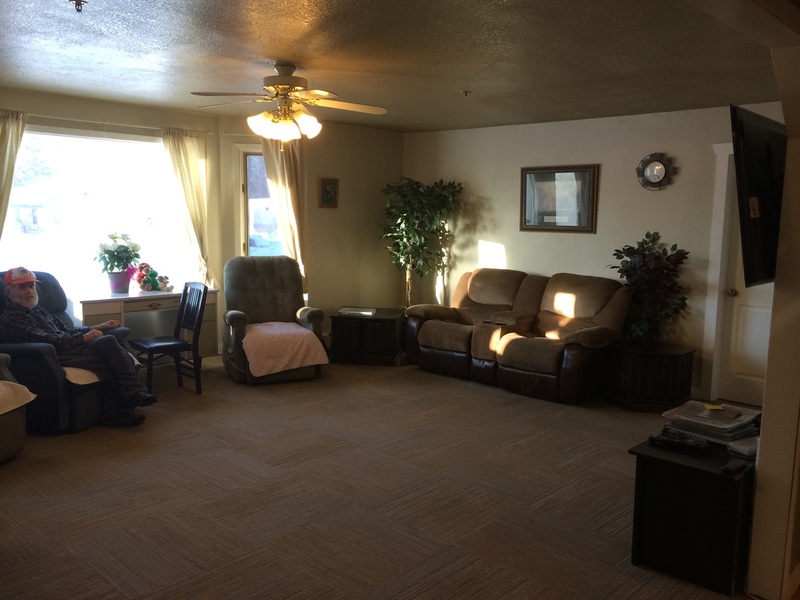 We realize there is a real need for quality care in assisted living homes. Our desire is to expand our ability to accommodate this growing need. Currently we have opened a 2nd facility in North Pole in 2014. Eagles Wings II is a beautiful home that has been remodeled to with comfortable living space and comfortable bedrooms. (Please click on the link for Eagles Wings II to see pictures). 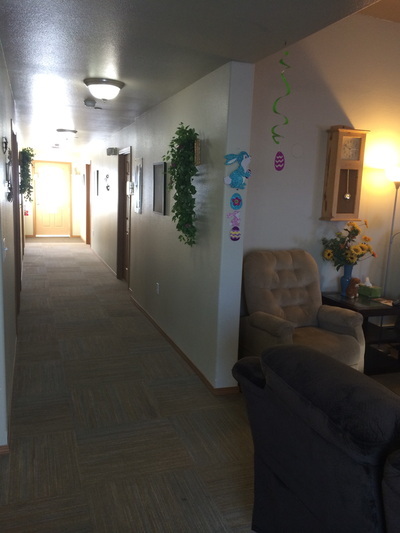 Our goal is for Eagle’s Wings assisted living homes to have a family atmosphere where residents lives are encouraged, strengthened, and strongly supported through daily activities and interaction. We value the personal needs of each person, so personal care is attended daily. 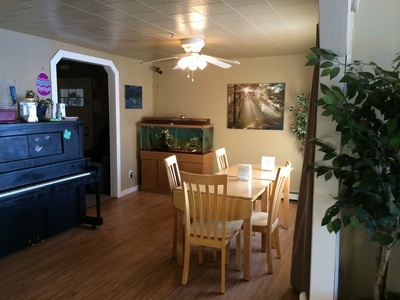 We groom, tend to hygiene, provide healthy meals, and provide assistance with medications. All these activities are essential to providing quality care for each individual. Each employee is carefully screened to fit with our family atmosphere. We expect professionalism and a passionate desire to serve the needs of each resident. We put great effort in providing quality, appetizing, and nutritious meals. WE NOW HAVE A KITCHEN STAFF!! As of fall 2015 we established a kitchen staff, dedicated to making home cooked meals. Each meal has several options and we also customize meals to your liking. "This has made a huge impact on the health and well being of each resident in our homes. I hope to continue improving in the food quality we are providing" (Tim Opperman). We work very closely with physicians, pharmacists, care coordinators, family members, and numerous state agencies to assure the best quality of life for each individual. We also have regular home visits from an Advanced Nurse Practitioner, who specializes in geriatric care. Eagle’s Wings assisted living homes are designed to be a place of rest and joy in one’s journey. A place to build relationships and enjoy life. We believe that each individual should remain as independent as possible for as long as possible. We recognize the need to have alarms on our doors to safeguard, but not give the atmosphere of being “locked in”. They should have freedom to move about and have as much mobility as they are able. We believe a family atmosphere is healthy and conductive to the mental, physical, emotional, and spiritual well being of each resident. For this reason, we employ quality team members and support the "Eden Philosophy".